WHY GOLD IS USED FOR JEWELLERY? Gold in its natural form is always yellow. It does not come in any other natural colour. Its colour can be changed by mixing different colour alloys. The choice of gold depends on the particular type of jewellery. The following are the different colours that are currently very popular. The higher the proportion of gold used in the final metal, the more valuable and expensive the metal will be. So all other things being the same, an 18K ring will be more expensive than a 14K ring and a 14K ring will be more expensive than a 9K ring. 9K gold denotes 37.5% gold purity. 9K is the minimum standard used in UK and is widely used for making profound jewellery to minimise the cost. 14K gold denotes 58.3% gold purity and it often comes stamped with 585. 18k gold denotes 75.0% gold purity. 18K is highly recommended for fine jewellery. 22K gold denotes 91.7% gold purity. Gold in 22K is very soft and is not suitable for manufacturing studded jewellery. It can be used for plain gold jewellery. 24K gold denotes 100% gold purity. Gold in this form is extremely soft and cannot be used for any type of jewellery making. Platinum is the most expensive and rarest metal, it is naturally white and in very high demand. Platinum is used in its purest form of approximately 95%. 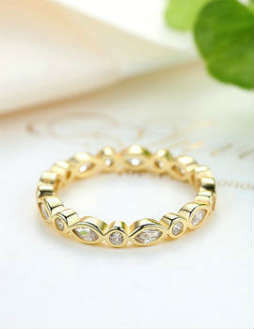 Gold in its purest form is soft and not used in studded jewellery, while platinum metal can be used in its purest form. Platinum is a very dense and durable metal that feels heavier than gold and other metals used for jewellery. WHY PLATINUM IS USED FOR JEWELLERY? Hypoallergenic metal: Platinum is used in its purest form which makes it hypoallergenic, and therefore ideal for sensitive skin. 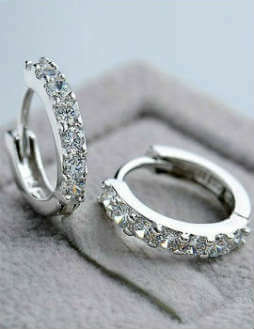 Naturally white metal: Platinum is naturally white so it compliments studded jewellery exquisitely. Luster, look & feel: Platinum has very high lustre and has the right look and feel for high-value pieces. Natural Colour: Platinum is naturally white compared to gold which is yellow. Price: Platinum is more expensive and weighs almost 40% more than gold for the same volume. Platinum’s purity also increases its price. Look & Feel: Platinum's tactile feel and luster makes it feel heavier and rich. Silver is one of the precious metals commonly used for jewellery. It is a white and bright metal that is suitable for jewellery made with semi-precious stones. Silver is traditionally used for tableware and coins and it is associated with wealth and glamour. 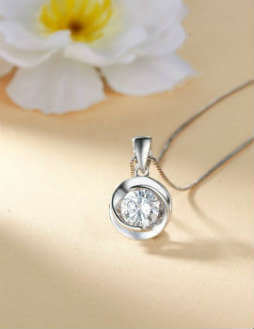 Sterling silver refers to the composition of silver. It is normally 92.5% silver mixed with 7.5% of other metals, mainly copper. Sterling silver is slightly harder than pure silver making it very suitable for precious and semi-precious stone jewellery. We make sure you get nothing but the best quality silver jewellery by following our exacting quality standard:. Nickel Free: We make sure that our silver is completely nickel free. Plating: We use high standard gold and rhodium plating. Strict quality control and latest processing techniques are used. Brass is a yellow metal that is an alloy of copper and zinc. 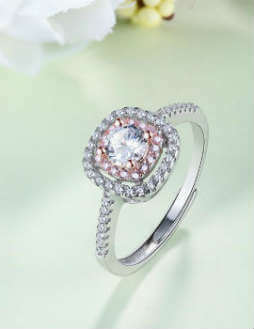 It’s highly popular for fashion jewellery, and in modern fashion jewellery ranges. You will find more brass jewellery than gold or silver jewellery. We process all of our brass with the latest technology and plating techniques to make it the perfect choice in modern fashion jewellery and for gifting. BRASS VS GOLD AND SILVER? Brass has gained high popularity in modern fashion jewellery due to the following reasons. Colour: It has a similar colour to gold which makes it a worthy substitute. Non-Tarnishing Quality: Brass doesn't tarnish like silver. Unfinished brass can tarnish over time as a reaction to air and moisture, but it can be easily cleaned. Durability: If proper care is taken, finished brass can last for years. Rhodium is ten times more expensive than gold. It is not suitable for jewellery due to the prohibitive processing feasibility for jewellery-making. Rhodium is very brittle and stressed and cannot be crafted or moulded. Rhodium plating is the process of coating a layer of rhodium onto the jewellery metal. Rhodium plating gives jewellery a high, bright, white and mirror-like finishing. Rhodium plating can be of many different colours like hair colour including black rhodium plating. Gold plating is mainly used when the main metal is white and needs to be transformed into a more yellow colour. Rhodium plating is mainly used to make white gold metal and to give it a 100% white and bright look. It is the process of coating a thin layer of gold onto other jewellery metals. This is highly popular for adding colour to precious and semi-precious jewellery. Vermeil is a French word used for gold plated silver. Traditionally, it is called silver-gilt. With a thick layer of gold coated over silver, it is very popular and ideal for jewellery. It is significantly less expensive than gold jewellery and can be used to protect silver from tarnishing and other reactions.